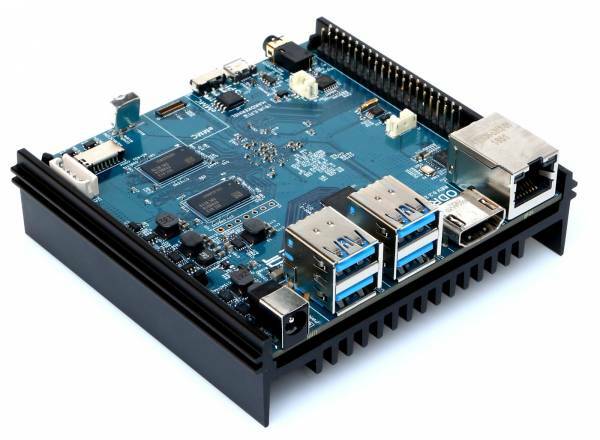 The ODROID-N2 SBC is a new generation single board computer that is more powerful, more stable, and faster performing than ODROID N1. 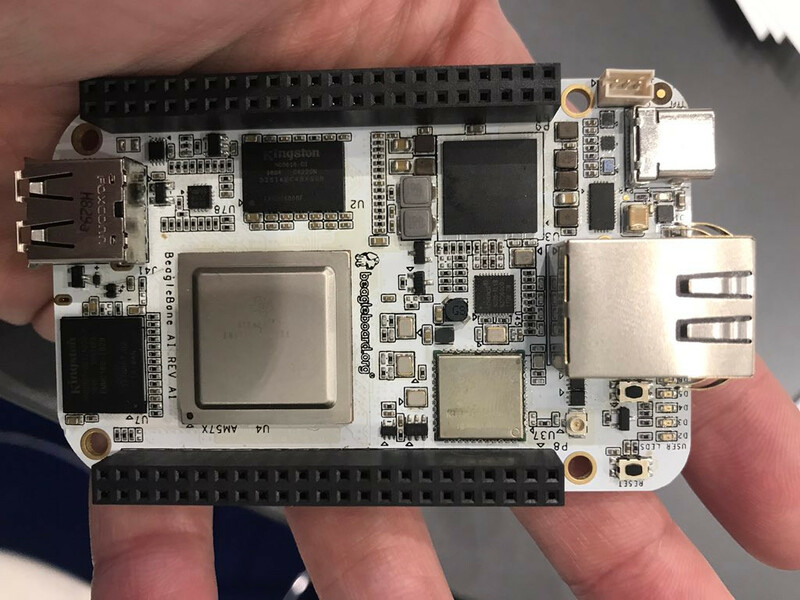 The main CPU of the N2 is based on big.Little architecture which integrates a quad-core ARM Cortex-A73 CPU cluster and a dual core Cortex-A53 cluster with a new generation Mali-G52 GPU. Thanks to the modern 12nm silicon technology, the A73 cores runs at 1.8Ghz without thermal throttling using the stock metal-housing heatsink allowing a robust and quiet computer. 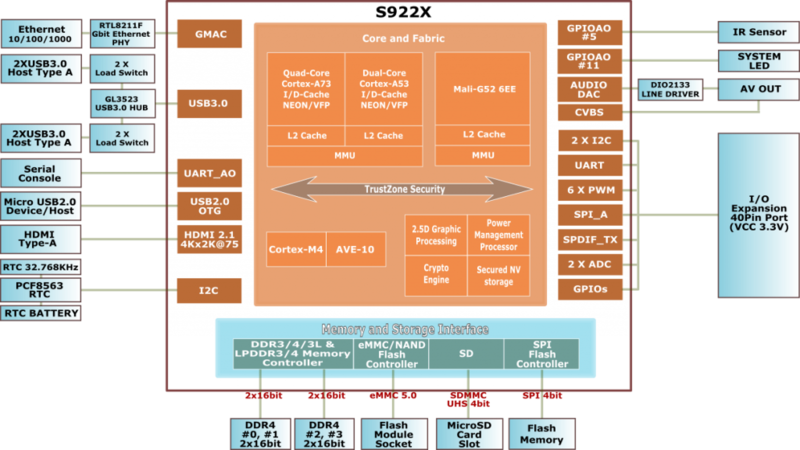 The CPU multi-core performance is around 20% faster and the 4GByte DDR4 RAM is 35% faster than the N1. The N2’s DDR4 RAM is running at 1320Mhz while N1’s DDR3 was running at 800Mhz. 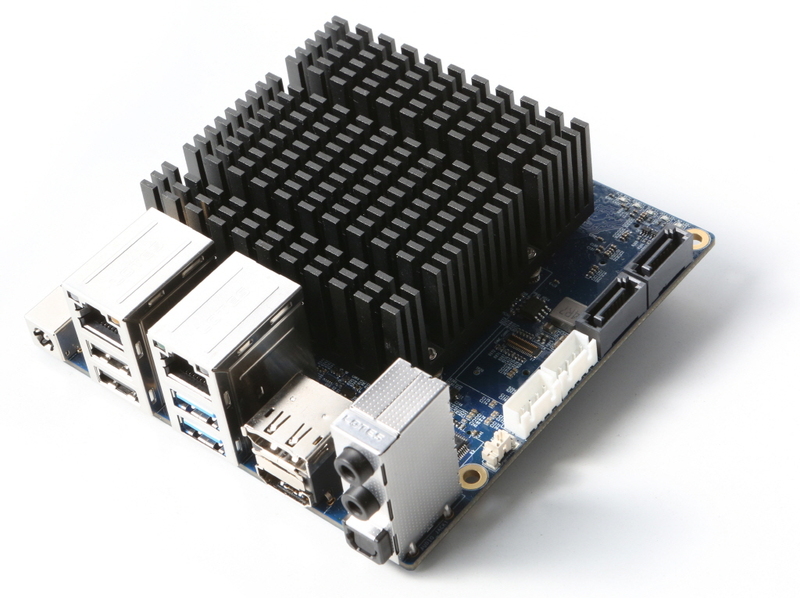 The large metal housing heatsink is designed to optimize the CPU and RAM heat dissipation and minimize throttling. The CPU is placed on the bottom side of the PCB to establish great thermal characteristics. 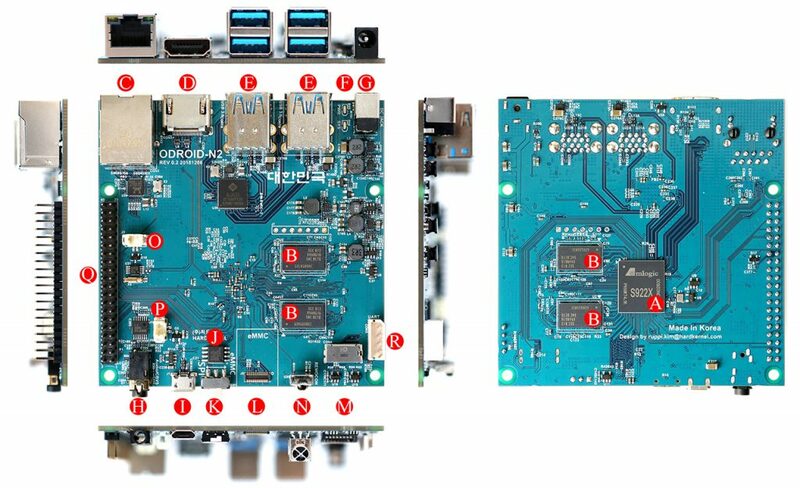 The Odroid-N2 will arrive in April about four months later than intended, but with a much lower $63 (2GB RAM) and $79 (4GB) price compared to the original Odroid-N1. More information may be found on Hardkernel’s Odroid-N1 announcement and product page and wiki.